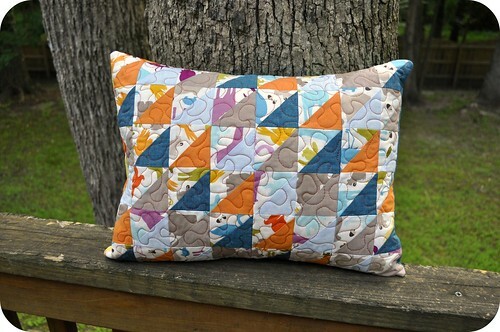 It's been pretty quiet on the sewing front around here. The move and subsequent unpacking & settling in combined with, well, the mere fact that it's summer has kept the whole family busy, and me -- generally exhausted from both all of the work associated with the move and the blasted HEAT -- away from my sewing room. 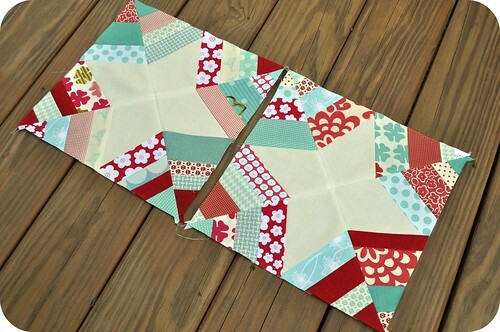 I took one evening last week and banged out two spider web blocks in a red & aqua color scheme. I know this is an EXTREMELY popular color combination these days, but I (surprisingly) had to dig pretty deep into my scrap bin to find enough pieces to make these two blocks. I guess it's not a palette that I naturally gravitate towards. Love 'em, though! 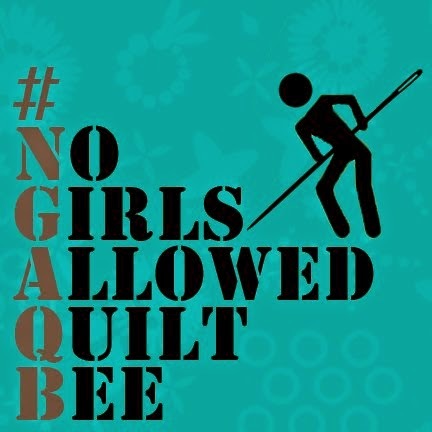 These blocks were made for the do.Good Stitches charity bee. 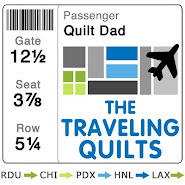 If you read my blog regularly, you could probably tell pretty easily that my favorite part of the quilting process is choosing the fabrics for my projects. I love focusing in on a color story, or a print, or a pattern, and mixing and matching different fabric to make the project come to life. 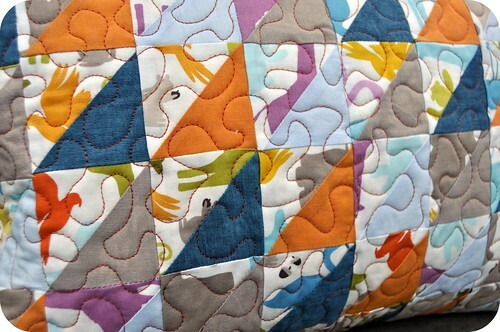 The piecing, quilting, and binding? ... yeah, that stuff gets done mostly out of necessity. I was flattered to be asked by Kimberly at the Fat Quarter Shop to take part in their newest program, the Blogger's Choice Bundle series. 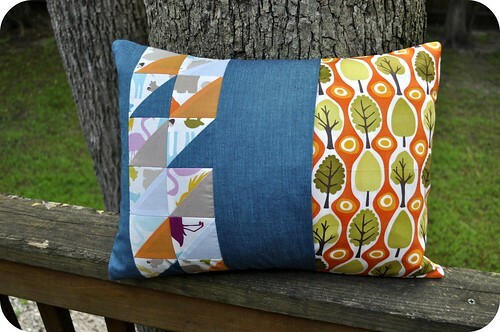 This series features fat quarter bundles, made up of 12 prints and 3 solids each, selected by several different quilt bloggers. After browsing the site for some inspiration I began gravitating towards this mix of navy blue, dark forest green, teal and white, with charcoal grey as my solid of choice -- quite different from many of the brighter quilts I've been seeing made lately. I think this somewhat masculine mix of colors would make a really great quilt for a boy's bed. I was VERY excited to receive one of my bundles recently, and I'm trying to decide what kind of quilt to make with it. What do you think? Do you like it? What type of project would suit it best? For a few more days, you also have the opportunity to win one of my bundles! 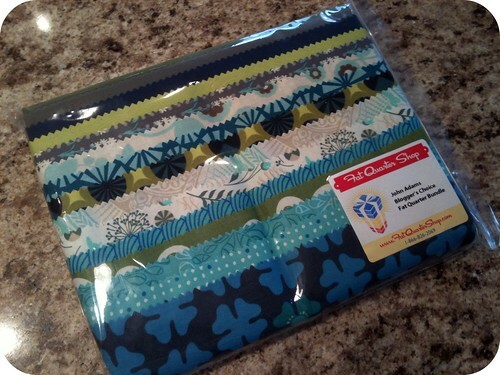 Head on over to the FQS' Jolly Jabber blog and leave a comment for your chance to win. I'm back from New York (OK, for over a week now .. but who's counting?) 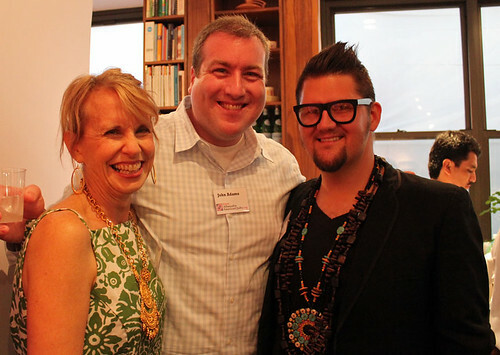 I had a fantastic time at the Alliance for American Quilts' Quilters Take Manhattan event. It's always great to be back in my home town of NYC, and even better when I can spend time at an event surrounded by so many people who share my creative interests. And, on top of that, one that takes place in a setting as beautiful as the huge loft apartment of Victoria Findlay Wolfe (of Bumble Beans fame). 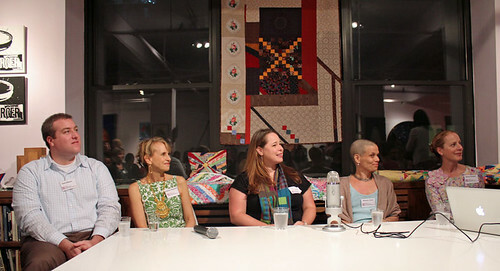 I was there to be part of a panel of creative folks to discuss the modern quilting movement. Guess which one in the picture above is me? The other panelists (in order from left to right) were Jennifer, Kim Hyrniewicz, Melanie Testa, and Nancy Soriano. Amazing, amazing women. I know what you're thinking, and I'm not quite sure how I found myself on that panel either ... but it was a blast! It was also great to catch up with Heather, Jackie, and Thomas, and to meet some online friends like Heide and Heather from Jennifer's Connecticut quilting posse. Speaking of Heather, she has already written up a wonderful recap of the weekend that I couldn't even hope to match, so I'd encourage you to head on over to her olive and ollie blog to read more! OK, so enough with the schmoozing and gratuitous name-dropping for a while. I've (finally!) unpacked my sewing space in the new house and have eased back in to making some blocks and stuff. I'll be back soon with some actual sewn goods to share.